The LG G6 has been available in the US for several weeks via carriers, but now you can skip that and get an unlocked G6 that works on any carrier. 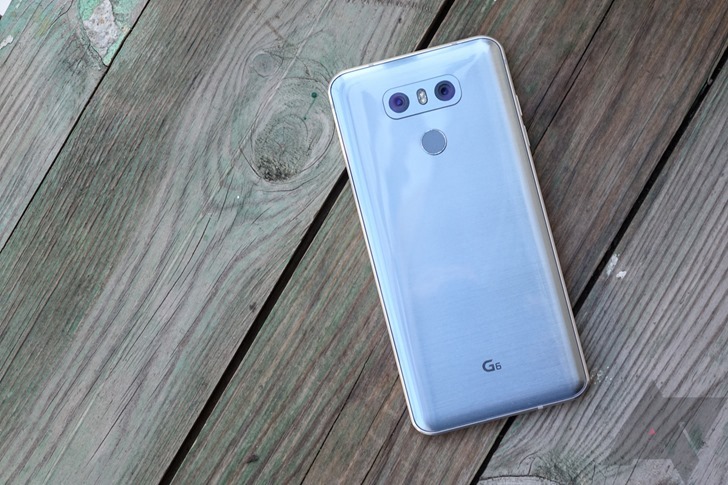 The US version of the unlocked LG G6 is now available for purchase at several retailers. Although, LG's own online store still shows it as pre-order. 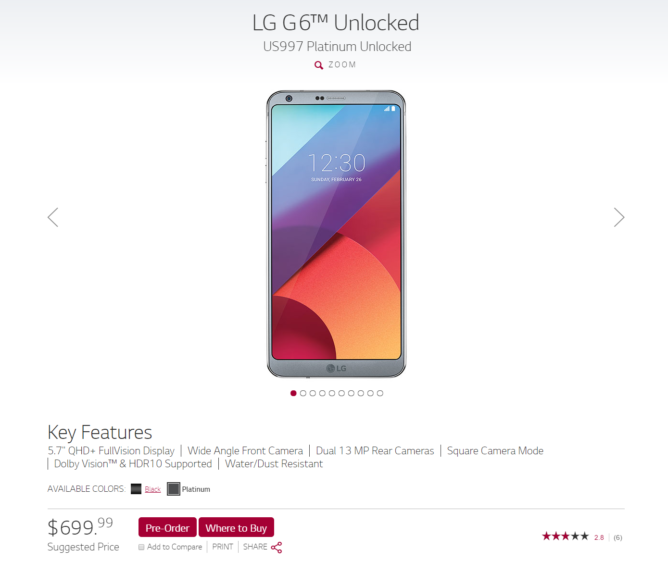 The North American unlocked G6 (model LGUS997) is mostly the same as what you can get from carriers and internationally. However, it has better network support with all the bands necessary for both GSM and CDMA carriers. Otherwise, you have the same 5.7-inch 1440p LCD, 4GB of RAM, dual cameras, and 3,300mAh battery. The LGUS997 is listed for sale on B&H, Amazon, and on LG's site. LG still only has pre-orders for some reason, and Amazon currently has the price pumped up to $691 (not a third-party seller). That will probably come down after Amazon's algorithms refresh. B&H is currently shipping the phone for the proper price of $599.99.